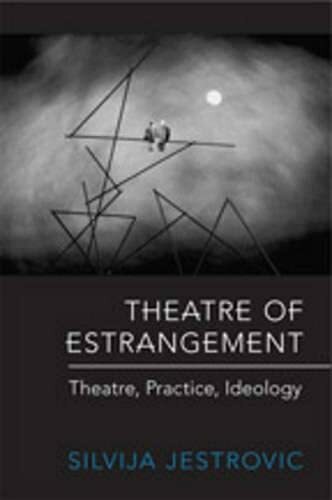 [PDF] Theatre of Estrangement: Theory, Practice, Ideology (German and European Studies) | Free eBooks Download - EBOOKEE! Description: In a world flooded with information, images, and sounds - where the distinction between real and simulated becomes increasingly blurred - one of the most pressing concerns of the theatre is how to subvert the stock responses of an audience and make the well-known fresh and meaningful again. Situating the practice of theatrical estrangement firmly in its social and political contexts, Theatre of Estrangement looks at how this concern has manifested itself in Russian and German avant-garde theatre. Silvija Jestrovic traces the concept of estrangement from its early formulation in the Russian Formalist School of Literary Criticism embodied in the experiments of the Russian avant-garde, to its so-called apotheosis in the theory and practice of Bertolt Brecht. Drawing from a variety of sources - theatrical performances, dramatic works, visual art, film, political events, biographical data - she demonstrates that theatrical estrangement is not only an abstract theoretical postulate, but also a practical artistic strategy shaped by the cultural and historical climate. In the historical avant-garde, Jestrovic argues, estrangement became a way of thinking, a means of comprehending the world, and even a lifestyle. Yet, devices of making the familiar strange are destined to erode in one historical and cultural context and become rediscovered in another to rejuvenate stale art forms and open the door to a fresh and more critical perception of reality. Theatre of Estrangement attempts to make that rediscovery. No comments for "[PDF] Theatre of Estrangement: Theory, Practice, Ideology (German and European Studies)".